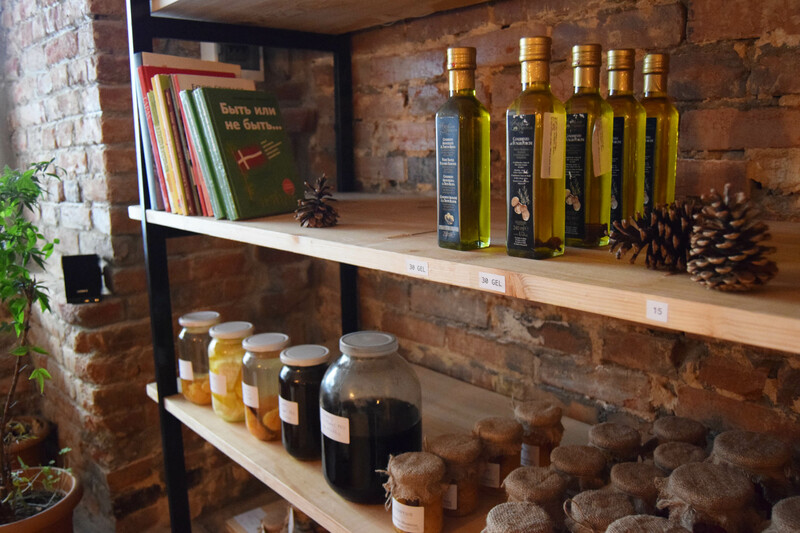 Tbilisi’s first Nordic restaurant opened on Lado Asatiani Street, in Sololaki. 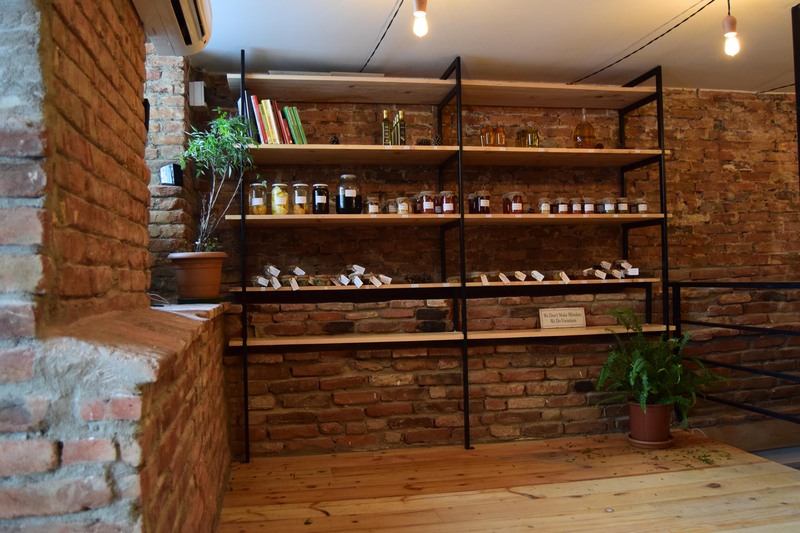 Besides high-quality food and sophisticated environment, this place differs from the others with its interior, which was designed by a young architect and founder of IDAAF Nanuka Zaalishvili using natural materials. “In the beginning, me and customers both thought about creating a traditional Nordic design, but with the place came new different ideas. When the walls were free from patched layer, we found authentic bricks of this historic building, which were restored and left like that. The setting was so warm and cozy that we changed our minds about using any décor or white color on walls,” says the author while talking about the project. Restaurant Stampesoe is located on three different levels. -1 is entirely occupied by the kitchen, on the ground level drinks and other products are displayed, which you can enjoy in the restaurant located on the third, mezzanine level. This idea belongs to the founders and chefs of Stampesoe. They didn’t want this place to be just for eating, they had an idea to offer customers handmade natural products. 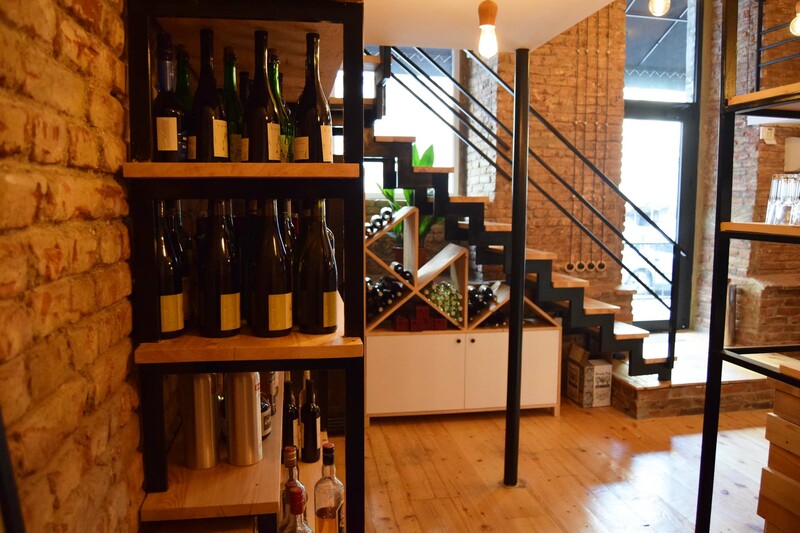 This is why on the ground level, 45 square meters is entirely occupied by the plain counter where the drinks and products are displayed on the wooden shelves. 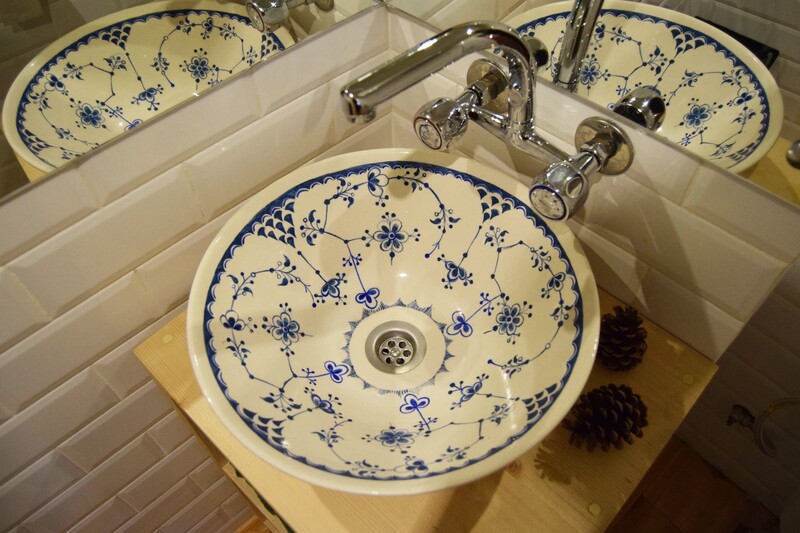 With this, the place has gained more diversity and it is a sort of fun for guests to view and be part of this. 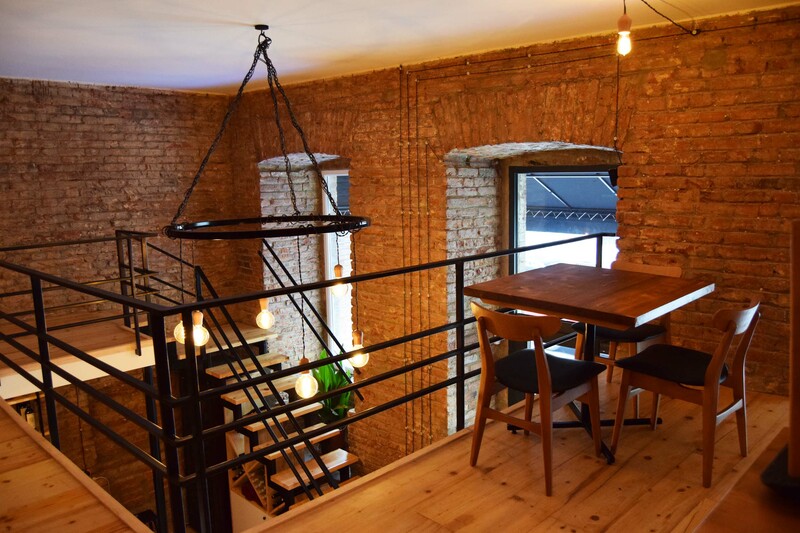 Restaurant’s interior is a combination of wood, brick and metal, which has proven to be a commonly used and topical method. In fact, there is no décor, except for plants on the window sills and three watercolor paintings with leaves on them. Leaves are also the main detail of the Stampesoe logo. Exceptionally noteworthy is the floor on the ground and mezzanine levels, which is made from a hundred years old conifer material. Electrical wiring is made in old style. Black decorative wires and ceramic isolations are placed above the wall, so the entire “map” is visible for visitors. Railings, which are attached externally to the mezzanine floor and thus make the space a little wider, are black too. It’s notable that there is no décor on the mezzanine, only furniture.